Who will survive the final battle with the dead? Winter finally has a date. Tuesday, HBO dropped a teaser video promoting the highly anticipated final season of "Game of Thrones." While it didn't feature any new footage, it did recap what led its heroes and villains to the impending conclusion. In between shots of Daenerys Targaryen (Emilia Clarke), Jon Snow (Kit Harington) and others, the network teased its dramatic finale. "Every battle. Every betrayal. Every risk. Every fight. Every sacrifice. Every death," it said. "All for the throne." The trailer also revealed the final six episodes will begin airing in April 2019. The first episode, written by Dave Hill and directed by David Nutter, does not have a specific airdate at this time. Season 8 opens at Winterfell, with Daenerys and her army preparing for the inevitable invasion of the Army of the Dead. 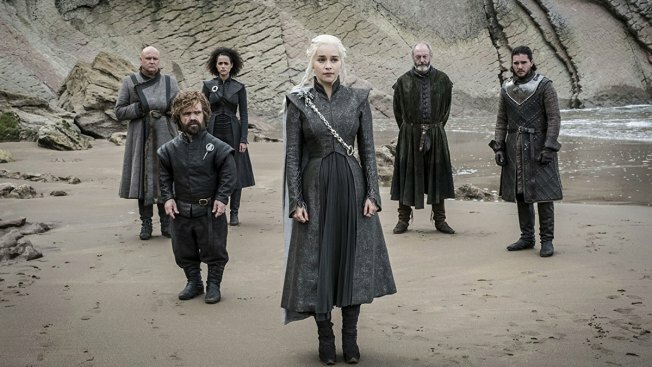 "It's about all of these disparate characters coming together to face a common enemy, dealing with their own past, and defining the person they want to be in the face of certain death," co-executive producer Bryan Cogman told Entertainment Weekly this month. "It's an incredibly emotional, haunting, bittersweet final season, and I think it honors very much what [George R.R. Martin] set out to do—which is flipping this kind of story on its head." Clarke said this is the best season yet. "Every choice, every conversation, every attitude has this air of 'This is it.' Everything feels more intense," she said. "I had a scene with someone and I turned to him and said, 'Oh, my God, I'm not going to do this ever again,' and that brings tears to my eyes." Lena Headey, who plays Cersei Lannister, understood. "There was a great sense of grief," the actress said. "It's a huge sense of loss, like we'll never have anything like this again."